An inventory control system uses barcode technology to automate the tracking of merchandise. An inventory control system is a set of hardware and software based tools that automate the process of tracking inventory. The kinds of inventory tracked with an inventory control system can include almost any type of quantifiable good, including food, clothing, books, equipment, and any other item that consumers, retailers, or wholesalers may purchase. Modern inventory control systems are almost exclusively based on barcode technology. Though barcodes were initially developed to automate the process of grocery store checkout, their ability to encode a wide variety of alphabetic and numeric symbols makes them ideal for encoding merchandise for inventory applications. Inventory control systems work in real-time using wireless technology to transmit information to a central computer system as transactions occur. What Industries Use Inventory Control Systems? Inventory control systems are employed in a wide variety of applications, but they all revolve around tracking delivery of goods to customers. Inventory control is crucial in retail stores, especially those with a large number or variety of merchandise items for sale. Inventory control is also used in warehouses to track orders and shipments, and for automated order processing. Other important applications of inventory control systems are in manufacturing, shipping, and receiving. Why is Inventory Control Important? Inventory control is important to ensure quality control in businesses that handle transactions revolving around consumer goods. Without proper inventory control, a large retail store may run out of stock on an important item. A good inventory control system will alert the retailer when it is time to reorder. Inventory control is also an important means of automatically tracking large shipments. For example, if a business orders ten pairs of socks for retail resale, but only receives nine pairs, this will be obvious upon inspecting the contents of the package, and error is not likely. On the other hand, say a wholesaler orders 100,000 pairs of socks and 10,000 are missing. Manually counting each pair of socks is likely to result in error. An automated inventory control system helps to minimize the risk of error. In retail stores, an inventory control system also helps track theft of retail merchandise, providing valuable information about store profits and the need for theft-prevention systems. 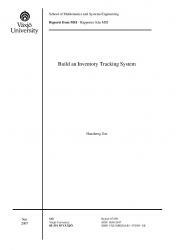 How Does an Inventory Control System Work? Automated inventory control systems work by scanning a barcode either on the item. A barcode scanner is used to read the barcode, and the information encoded by the barcode is read by the machine. This information is then tracked by a central computer system. For example, a purchase order may contain a list of items to be pulled for packing and shipping. The inventory control system can serve a variety of functions in this case. It can help a worker locate the items on the order list in the warehouse, it can encode shipping information like tracking numbers and delivery addresses, and it can remove these purchased items from the inventory tally to keep an accurate count of in-stock items. All of this data works in tandem to provide businesses with real-time inventory tracking information. Inventory control systems make it simple to locate and analyze inventory information in real-time with a simple database search. 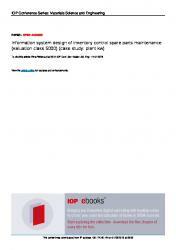 What Are Common Components of an Inventory Control System? We can help you find the right scanner to meet the demands of your business. From retail to warehousing, BarcodesInc has scanners to read every barcode type in any environment. Laser, area imager, handheld, wand, omni-directional, incounter, presentation, industrial, cordless/wireless, CCD, and more! Our Mobile Computers and portable data terminals are the perfect multi-use tool for your advanced data capture and mobility needs. With options for batch and real-time wireless (Wi-Fi and Cellular) data capture, we have units for every application and environment. Find the right device for wherever your business takes you. We carry inventory software for control and tracking of warehouse or point of sale inventory. Bundle our software with barcode scanning hardware for a complete inventory management system solution. 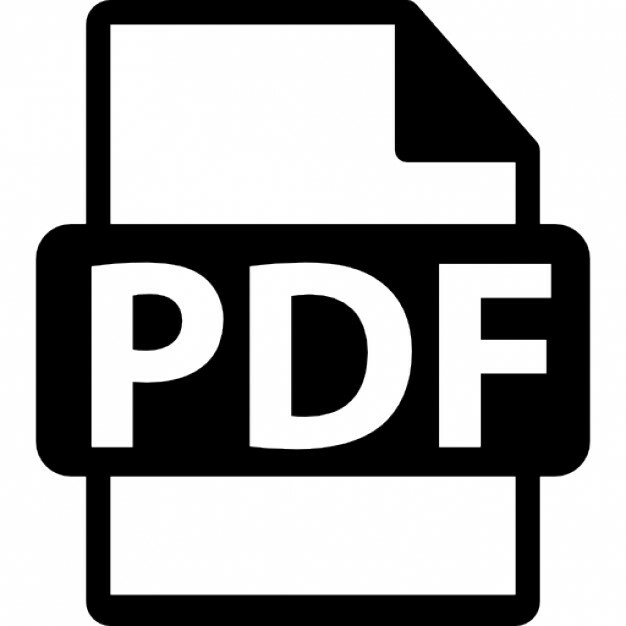 Download a free inventory software demo program for your computer. BarcodesInc has barcode printers for every business size and print volume. Whether you're printing asset labels from your desk or in the warehouse making shipping labels all day, we have a printer to meet your needs and budget. No matter the application, we'll get you printing in no time! BarcodesInc is ready to meet your labeling needs with a full range of stock blank labels for your printer as well as completely pre-printed labels. With options for a variety of sizes, colors, and material types, we have the perfect match for any application. Whether you're making shipping labels, company asset tags, or safety compliance stickers we'll get you the right labels.